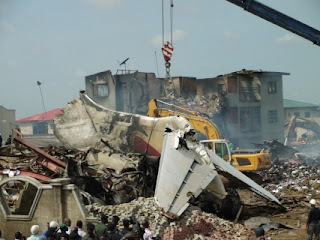 People living close to the place where Dana Air’s Boeing MD-83 plane crashed have raised the alarm over the stench emanating from the site at the Iju-Ishaga area of Lagos State. The residents lamented that apart from the wreckage that still liters their vicinity, the offensive odour oozing from the site of the crash calls for concern over the state of health of those inhaling the stench. They've also asked that the owner of the houses that were affected be compensated and they should be relocated as they could suffer psychological trauma, while the site should be turned into a burial ground for the victims. 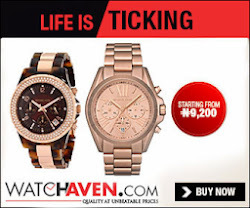 The Lagos State Government has promised to fumigate the area as soon as the various investigations being carried out are concluded and the debris cleared. The commissioner for environment, Mr. Tunji Bello, who also allayed fears of an epidemic outbreak, said all the concerned agencies in the state were already on standby to rise to the challenges of forestalling outbreak of any endemic. The commissioner of environment explained that the odour may have been caused by the continuous rainfall in the state, adding that people in the neighbourhood would be medically safe as soon as the affected environment was fumigated to treat and suppress the odour oozing from the place. This our government na wa oh, must they wait for the people to shout before they do something about it. Dana Air should be made to compensate these plp and clean up the place. These cheap Indians. They shld be made to spend the money they didn't agree to spend in maintaning the planes.